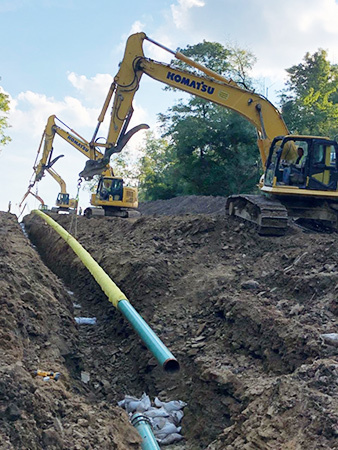 Buckeye Pipeline Construction is an Ohio based pipeline contracting company that was formed out of a merger of Wenger Pipeline Construction and CPRO Development in 2018. The combined company has over 40 years of experience in the pipeline and energy industry. Buckeye Pipeline is a natural gas pipeline and directional drilling contractor that has experience and qualifications for installing all types of plastic and steel gas lines ranging from small house service lines all the way up to high pressure steel gas mains. We have experience and qualifications to work on gathering, transmission, storage and distribution systems. We maintain industry standard operator qualification and safety standards and are members of Veriforce and ISNETWORLD.